Our initial introduction to thermography was when we found ourselves frequently being asked if we were able to price rectification works as the direct result of an infrared thermographic inspection being conducted by others. With the ever growing request by our clients for us to conduct rectification works as a result of a thermographic inspection, we found ourselves asking the question – why are we not looking at the inspection side of the works. ie. 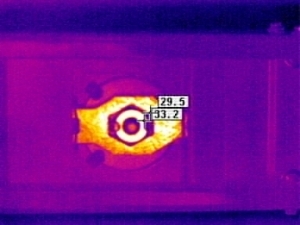 Conducting thermographic inspections. And with more clients asking if we provided these services, we took the next step and booked in with IPI to become qualified thermographers. Being in the electrical industry, I find detecting exceptions and preventing breakdowns a challenge. There is always the unknown and discovering and rectifying exceptions is always rewarding. I find there is always a very positive response from our clients when an exception requiring further attention is detected early. Our clients have become aware that prevention is a more cost effective scenario than a cure. I personally believe that providing the end user with a product that they are happy with is a must and always a challenge. With more thermographers entering the market with less training and inferior equipment, we ensure that we provide our clients with a comprehensive end product. Most importantly I believe that the correct training is a must. The team at IPI provide just that. Ensuring that you have a sound knowledge of what you are scanning is just as important. This helps you to understand what you are looking at with an infrared imager. Communication with the end user is always a great way to promote yourself and your business. Attention to detail when conducting any thermographic scan. Providing the end user with as much information as possible, enabling them to understand the report provided. Good communication with end users always helps. Being leaders in the industry and the comprehensive training provided it was a simple choice to join IPI’s list of successful trainees. IPI being an internationally recognised training organization was also a plus. Prior to undertaking the level one thermography training I thought – how hard can it be? Upon completion my view has totally changed. During the course, the most valuable thing I learnt was Emissivity – how different surfaces and colours greatly affect what it is that you are seeing with an infrared imager. These variables can be the difference in providing an accurate analysis of what is actually happening in the image scanned. We are currently using an IR9 camera. It has been a very reliable and robust camera. We were approached by a fellow electrical contracting firm to conduct a thermographic inspection at one of South East Queensland’s largest shopping centres. There was an issue with large variations of supply voltages at sub boards between phases, equipment failing and new equipment being fitted and also failing. The sub boards in question supplied a third of the sites power. After thorough investigation and a late evening conversation with Brenton Ward (as we had only been conducting thermographic inspections for a couple of months) we found a bus duct connection that had never been tightened upon installation (20 years after installation). The line was isolated and rectified the same evening and still operating today – six years later. As with anything, it is always good to learn from others in this specific industry. Communication is a must and if you don’t know, you ask. The team at IPI have always been there to support us and offer professional unbiased advice. Energy Electrical is a commercial maintenance electrical business located on the Gold Coast. 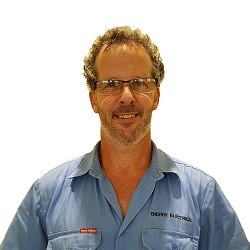 For anyone interested in contracting Jason as a thermographer or electrician, please contact him on 0434 390 334.